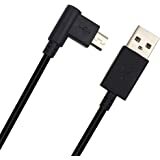 UL Listed Pwr 6.5 Ft USB-Cable for Wacom-Intuos Pro Intuos5 Bamboo: PTH451 PTH651 PTH851 PTH450 PTH650 PTH850 CTE450 MTE450 Touch-Digital-Art-Drawing-Tablet-Pad-Data-Charging-Cord ! 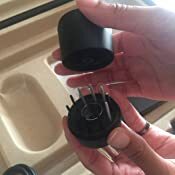 Check Plug Photo ! 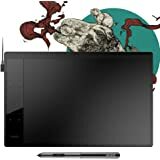 Wacom Intuos Pro Pen and Touch Tablet, Medium (International). THIS ITEM IS IN BRAND NEW CONDITION. 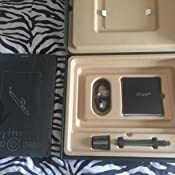 OPENED PACKAGE BUT HAVE NEVER BEEN USED. STILL IN THE ORIGINAL BOX. WILL SHIP TODAY! 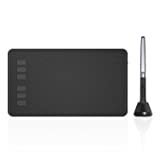 I went from an Intuos4 (whose USB port connectors finally snapped off) to the Pro, skipped the 5, so for me it's a good upgrade and I concur with all the positive reviews. 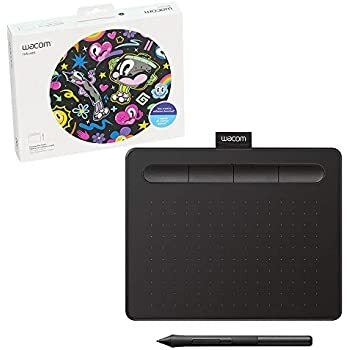 Wacom is superior. 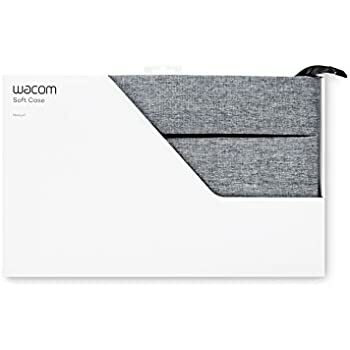 However, as others have mentioned, Wacom has still not addressed the issue of ill-designed USB ports and cords, the reason for my deducting one star. The little piece with the connections inside the casing is poorly affixed (I took my 4 apart and saw that the very thin copper wires were attached with tiny bits of solder to the circuit board, and that's it, nothing else held the connection piece in place), and the cord itself doesn't fit snugly, so it jiggles around, jiggling the connection piece with it. Here's my workaround so the cord doesn't wiggle and is firmly in place (see the video, too, taken after the fact, but it will makes things clearer): I took one of the black rubber-like rings the pen came packaged in and cut out a tiny rectangular piece 3/8" x 3/16" x the thickness of the ring. With the cord plugged into the tablet, I wedged the piece under it, squeezing the thickness. It takes some doing because you have to compress the thickness and force it in little by little (I was able to use my nail). I cut a smaller piece and wedged it in to one side of the plug. The cord is now tightly in place, but it could be removed if necessary. I plan on never unplugging it, though, even when going wireless, a small compromise to ensure that the tablet will last. 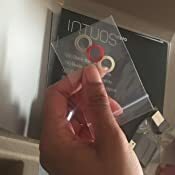 UPDATE 3/7/16: One customer just wrote that, out of curiosity, he looked inside his recently purchased small Intous Pro, and found a metal piece holding the USB port in place. He included an image. 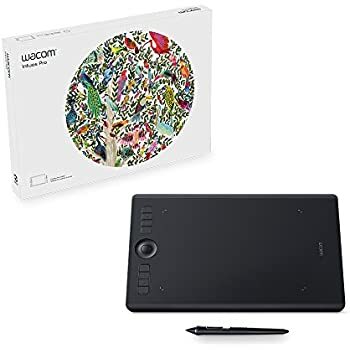 So, I called Wacom to see if they have, indeed, corrected the loose USB connection problem on all of the Intuos Pro tablets now being shipped—the answer is YES! 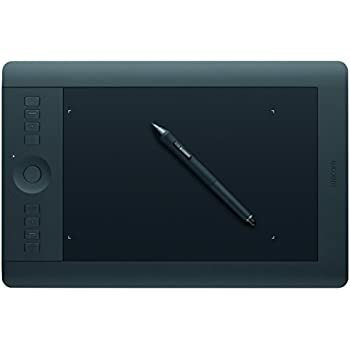 Wacom has added a metal clip on the mother board that allows for movement of the USB cord, but that secures the connecting wires. So buyers/users need no longer be concerned that the wires will break. By the way, the fix, which actually was very quick and easy to do, is still holding strong after 2 1/2 years, and I've had no problems. 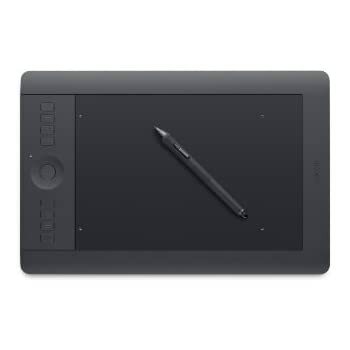 I don't regret buying the Intuos Pro, because in every other way it is superior. 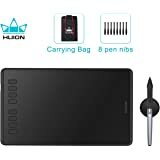 I've been using Wacom tablets since they were Beige and had two different cables, one for the pin port and one for the wall. I noticed a lot of first-time-tablet-user ratings so thought my two cents could be helpful. I'm upgrading from an Intuos 3 Medium, which still works great but I literally wore the surface off the tablet (in the middle, most common area) after many years of daily use. 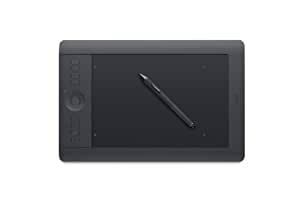 I'm a professional designer and use a Wacom every day, which is who this tablet is mostly aimed at. 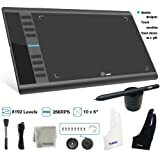 I don't use a mouse at all, from every day tasks to high end retouching, my right hand is pen and tablet. I skipped the 4 and 5 because the 3 was still doing just great. * Best tablet I've used yet. If you do this even remotely for a living, 300 dollars is a small investment in your work. 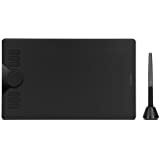 If you are looking to try a pen tablet and are concerned on price get the cheaper Intuos models and try it out. 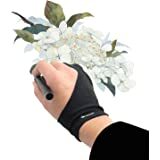 From a usability perspective using a pen is far more natural for your hand than a mouse, which could help with carpal tunnel/wrist strain potentially. One thing I will say is the Pro stylus is far better in size than the little pen on the base (white) Intuos tablets. I hated using that little thing and got rid of the one I had for traveling almost immediately. 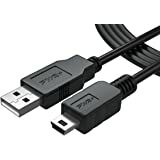 * The USB cable connection issue seems to have been solved, mine snaps in just fine and stays there. * Touch is a nice feature that I use occasionally for web browsing. It's nice how easy it is to toggle this on and off with a physical button on the tablet itself. * Lots of nibs (and nib remover) included in the base of the pen stand. Handy they include these instead of selling you an extra $40 kit as they did in days past for something so necessary to the product. * Pen pressure and overall working feel are great. Texture of the tablet feels right, a little more matte/toothy than the Intuos3 I used previously. * If you care about such things, it looks and feels great. 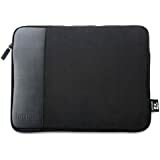 The black is slick, nice fit and finish on the tablet surface and slightly rubberized surrounding areas. * I don't use the buttons on the tablet much, never have. That's what my left hand and the keyboard are for. With their current position I sometimes lay my pen hand on them but this has never caused any issues, just a brief HUD popping up on screen. * As other reviewers have noted, the black standard nibs seem to wear down rather quickly. I can attest to this. After only a few weeks I've already replaced one. * I have no opinion on the wireless option since it sits on my desk and plugs in to a USB port not more than a foot away. No need to waste batteries to have one cable off your desk. I couldn't imagine using a tablet in my lap from across the room, but if that's what you do then the option is there and I'm sure their are reviews of it. * For what it's worth I'm using a maxed out 2013 15" Macbook Pro hooked up to a Thunderbolt Display, so a lot of horsepower. 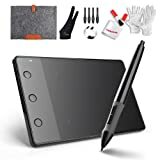 Some reviewers seemed to have issues with a laggy computer, but if you use a tablet like this there's a good chance you've got a decent setup. I can't comment on any input issues, everything is smooth. 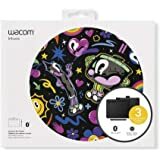 * I've never had installation or driver problems from Wacom, maybe I got lucky. Just go to the site and download it. Not sure why they even bother including CDs in the package anymore. * Intuos Confusion - As someone who works in branding I could argue both directions on this, but it's not even remotely a dealbreaker. It's pretty clear what the Pro and Consumer (old Bamboo) differences are. 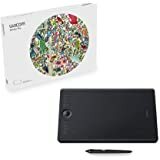 Color and price for starters, but if you're new to the space I could see how this could take some digging to figure out. 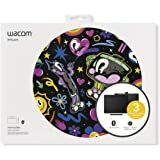 * Wacom is pretty much the industry standard. 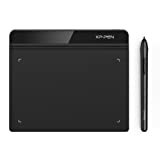 I don't have any opinions on other brands of tablet personally but have heard frustrations from friends and colleagues who tried to save a few bucks on a 'knockoff' brand. I'm sure there are other decent options, but this is the flagship. 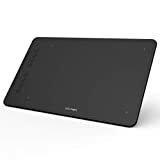 * Surface wear: Of course I can see some marks and sheen on the surface of the tablet, I drag and push a piece of plastic all over it every day. So far nothing to complain about. It's like a stainless steel sink, it's going to have scratches from doing what it's for. All in all best tablet you can buy. I've yet to try a Cintiq for work but maybe someday. I personally like the Medium size. Small is too small for the type of work I do and I found it uncomfortable, though having not used the larger version I can't comment on that. Friends with larger tablets love them, so there's that nugget. Happy de-mousing.